Vattmann was once called Vattmannville after Father Edward J. Vattmann who was secretary to the Catholic Colonization Society. Vattmann was invited to visit the area by Theodore Koch, land developer for Riviera and Riviera Beach. Father Vattmann was impressed with the location and with his approval, German Catholic families started moving there. 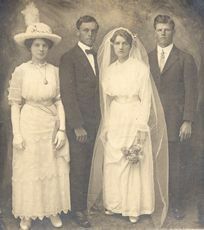 The first family was from Westphalia, Texas (Falls County). Others came from other parts of the U.S. and they built their first church in 1909. 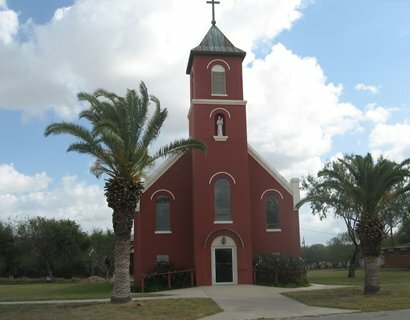 The present church, Our Lady of Consolation, was built in 1920, after the devastating 1916 hurricane. Vegetable crops and the raising of dairy cattle were the main occupations. 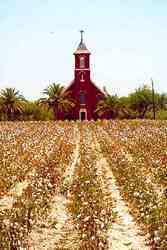 Today the entire community is surrounded by cotton crops, which grow nearly up to the door of the church. The school (built next to the church) started sending its students to Riviera in 1948 and the town shrank for the same reasons other small towns shrank after World War II. The population had been given as an estimated 20 persons from 1939 to 1948, but it has dwindled to even fewer than that in recent years. ... Orlando Underbrink was the man who built the famous King's Inn restaurant. ...Olando's daughter Idella Underbrink Strubhart .. started the local museum that occupies the former Riviera post office building. I am the descendent of Remlinger Underbrink. My great great grandfather was the one who drew the floor plan for that Church. The name of the Church is Our Lady of Consolation Church. Ignatius Underbrink (grandfather) was the architect. Orlando Underbrink (great uncle) built the three solid oak alters. Loyola Beach was named after my grandfather Ignatius Loyola Underbrink. My great uncle Orlando Underbrink built the Cafe which at that time was called Orlando Cafa. In 1945 he leased the Inn and opened a restaurant specializing in fish and chicken. Later they added a full range of seafood dishes.